Molded of polypropylene, these funnels are unbreakable and resistant to corrosion and heat. Two piece construction allows top and bottom to be separated for easy cleaning. The funnels are fully autoclavable and feature excellent chemical resistance. 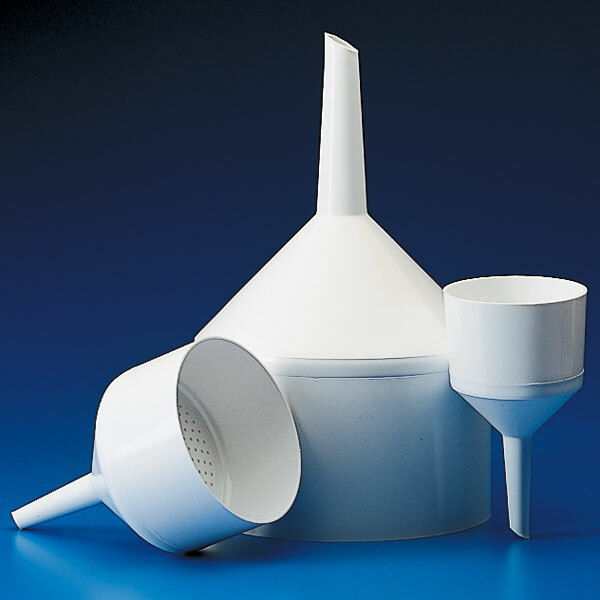 These funnels are approved for use with food products.